New Chadwick Place Rental - Sonshine Management Systems Inc. 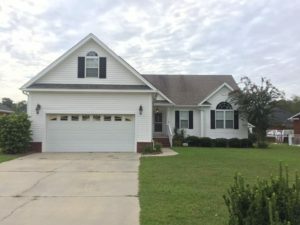 Check out this new rental! It’s a three bedroom two bath. It has an incredible amount of space! A bonus room, enclosed sunroom and a two car garage! You can find this adorable home in the Chadwick Place subdivision, off of 3rd Loop Road. Bonus: The entire house has brand new carpet!